This is the earring i was talking about. Sui bo??? 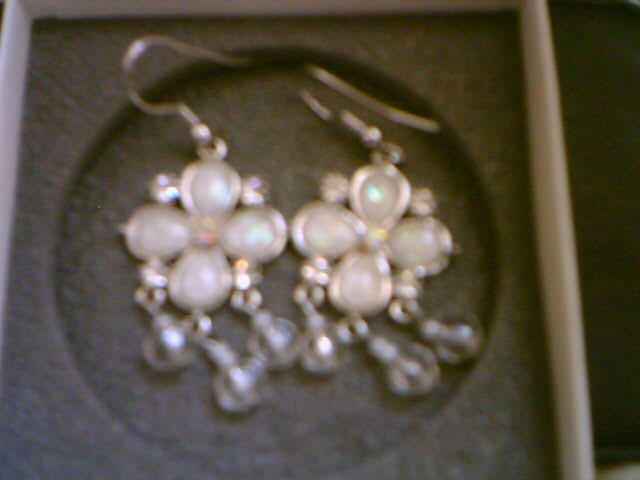 Sure lah.....cost me RM44 wor......I tried to bargain untill RM40 also the sales girl refused to bend. The white petals are made of shells i was told and they only have 1 in the stall. I bought it because i love the design. Do i think its worth it?? Nope!! It should be at least half the price. Why its expensive?? because its from UK. If you buy those frm taiwan or korea it should be alot cheaper. These are the sparkling hairclips i bought from Maggie-T. Its not cheap though!!! its about RM7. 10% discount(only) storewide. sorry peeps i dunno why the first 2 pics were so blur. But i think u can see the beautiful design hor?? 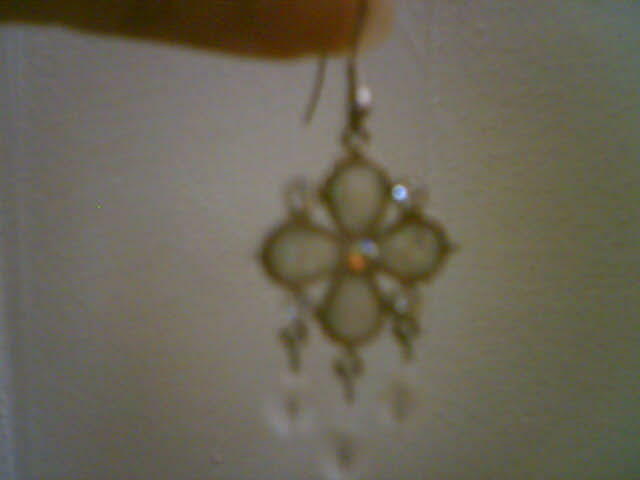 like those earrings and clips, look very elegant. look nice on a black dress. hey the earrings are beautiful!!! I just bought a pair of earrings..now my box is full..so full that I'm tempted to get those 9 lil drawers box from Ikea to put my accessories. 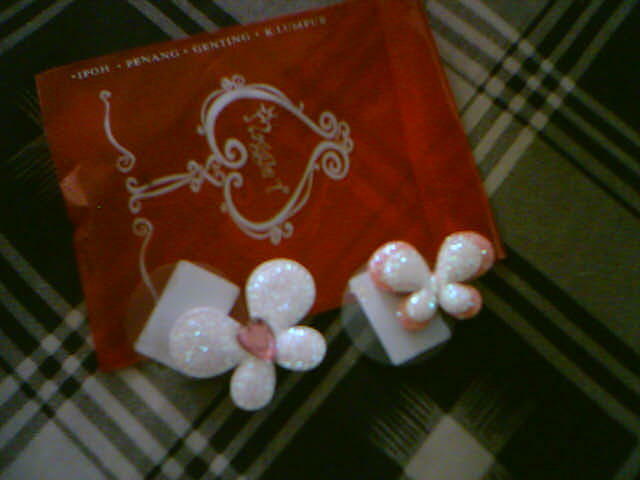 And I just bought a Butterfly clip too..ngehehehe...diamond one. RM11 only. Great buys! And sweetie, thank you so much for offering to send me the clips, but I think I should stop with the butterflies; I have about 4 butterfly motif clips at home! :P But I really appreciate the offer! Next time I go KL we must meet and go shopping!